Many of you know that I’ve been on quite the healing journey lately. If you missed hearing about why we had to cancel our book tour, you can read about that here. I will be posting an update pretty soon, as I’ve recently gotten a lot of answers, although I’m still waiting on a few other things. One thing I do have going on is Adrenal Fatigue, which essentially is a hormone imbalance. I started working with the wonderful Megan of Ginger Newtrition, and the first thing she did was give me a bed time! I haven’t had a bed time in…ever? Seriously. I’ve always had trouble getting to bed at night, and have been more of a night owl who likes to sleep in. I didn’t think I was doing any harm since I was still getting 8 hours of sleep in a completely dark room, but apparently every hour of sleep before midnight is 2 hours of healing for your adrenals, and I wasn’t getting that for years! Holy crap, guys. I’m sure it’s not a shock to anyone, that changing my sleep schedule has done wonders for my healing in just a short two weeks. It really has made a huge difference for me, and I’m very committed to it now! Since we are avoiding screens at night, we’ve been finding other things to do instead. If we have the energy, it’s been food projects. There was also a night we did face masks, but I figured Bill wouldn’t want me talking about that. 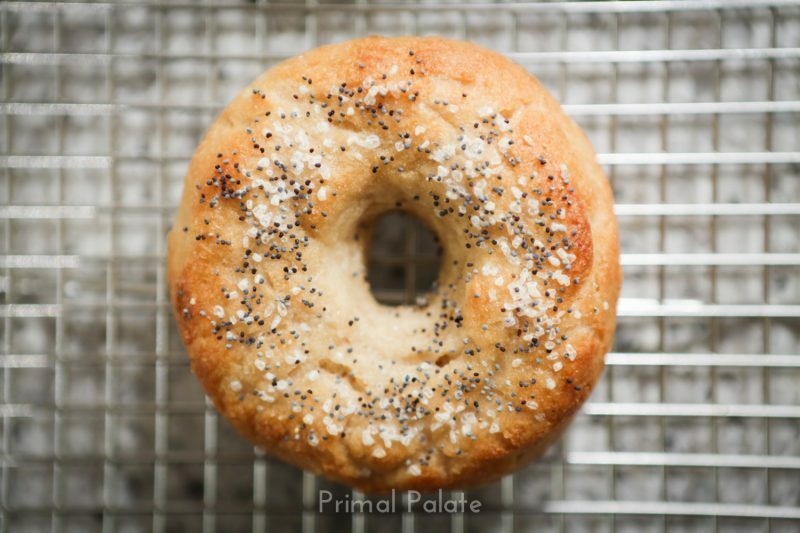 I guess I sort of just did… Bill really wanted bagels, so we made the bagels from Yiddish Kitchen one night. …and the other night I made snack bars! This is a really easy recipe that you can throw together in 20 minutes, and then just freeze or refrigerate. I tried dehydrating them, but that resulted in the mixture almost melting all over Bill’s candied orange peel, so I quickly got them out and froze them. I’ll try dehydrated snack bars some other time. Oops! I poured them into my Chicago Metallic no-bake pan with collapsible sides, but the one I have was a little big. We love this pan for making things…like MARSHMALLOWS! I popped them in the freezer over night, and then transferred them to the fridge. One they were defrosted, but still cold and set, I sliced them, and then placed them in a container to keep in the fridge. They will soften and melt, so they are best eaten cold. This recipe is super tasty. I know because Bill loved them, his parents loved them, and Juli loved them too. Sadly I couldn’t eat them, because sugar (yes even maple sugar) has been giving me really bad anxiety lately, but I really, really, really wanted to. These bars do use almond butter, and walnuts, but if you wanted to make them nut-free, you could easily substitute sunflower seed butter, and just omit the walnuts, or add some other seeds like pumpkin seeds to add more texture and crunch. 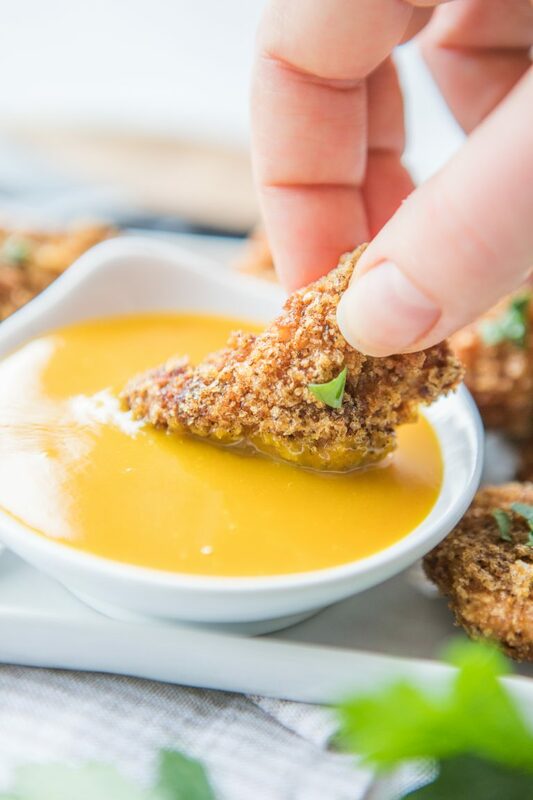 I hope you guys love this recipe! These easy no-bake bars are a great treat to have on hand when you are craving something sweet. You can keep these refrigerated in bar form, or frozen in bite size pieces if you don't want to indulge too much! In a food processor, add the walnuts, maple sugar, and golden flax seeds. Pulse until the walnuts are chopped into small bits. 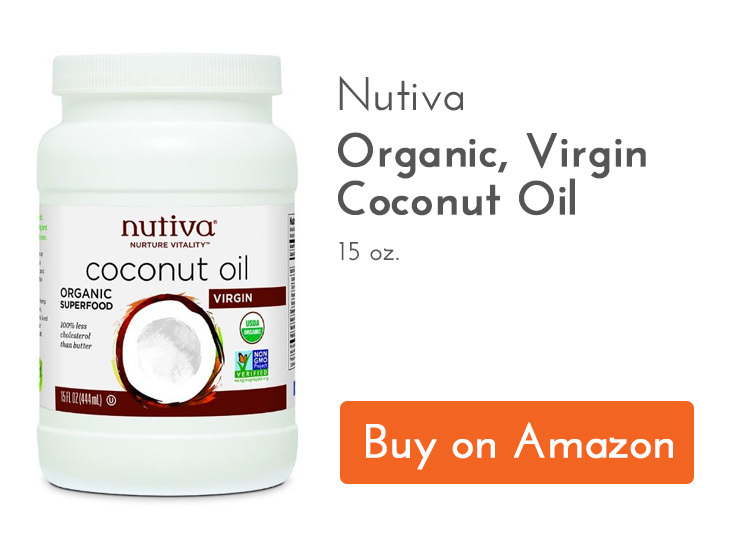 Add the almond butter, coconut oil, chia seeds, and shredded coconut, and process until lightly combined. Transfer the mixture to a small mixing bowl, and stir in the chocolate chips and dried cranberries. Press the mixture into an 8"x8" square baking dish. 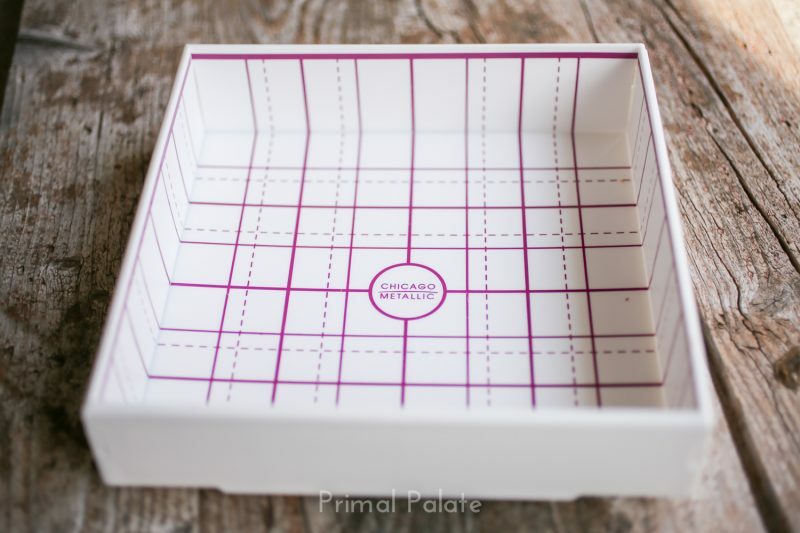 If you do not have a no-bake dish with collapsible sides, then line a normal 8x8 cake pan with parchment for easy removal. Refrigerate until completely cold and set, ideally overnight, and then remove from the baking dish, and slice as desired. 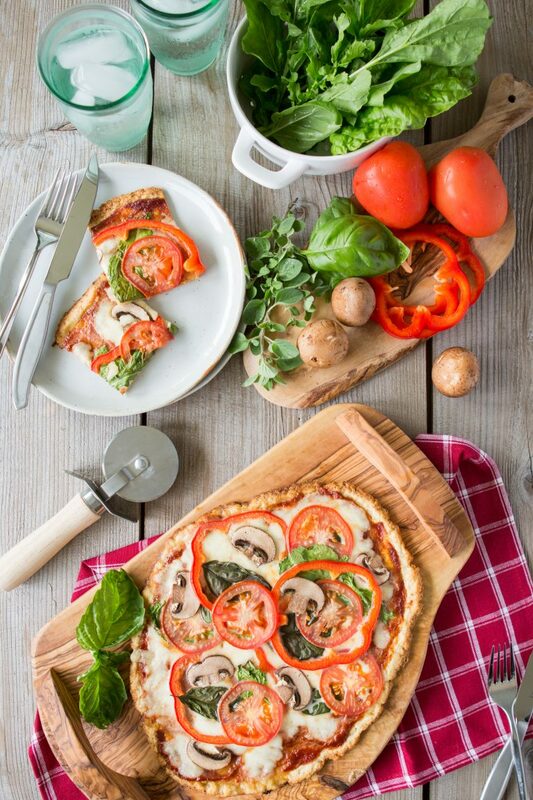 Keep refrigerated or frozen, and enjoy as desired. 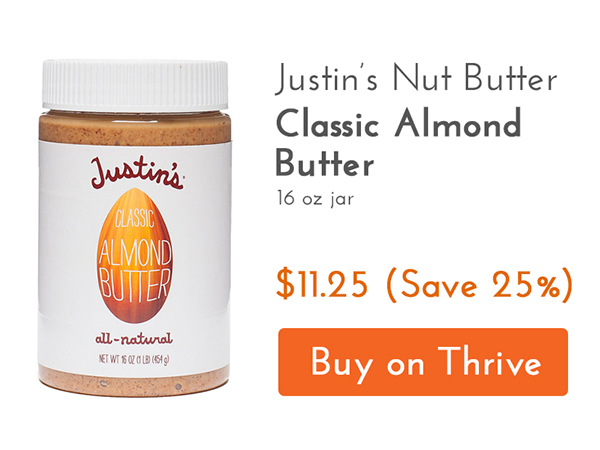 If you cannot have nuts, you can substitute sunflower seed butter in place of the almond butter, and pumpkin seeds in place of the walnuts. For extra crunchy bars, you can soak and dehydrate the walnuts in this recipe to make them extra crispy. 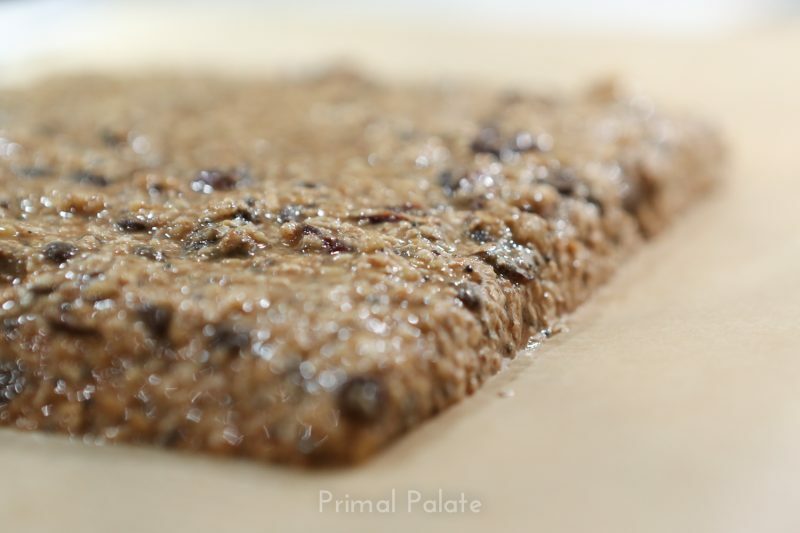 These were my first attempt at making snack bars, let alone Paleo ones! Must say they were not only easy but super delicious. Not sure why I never tried to make something like this before, but I will definitely be making these again. I will be making a double batch next time though because these aren’t going to last in my house. Thank you! Hayley, Any form of sugar has the same anxiety inducing effects to me, too. 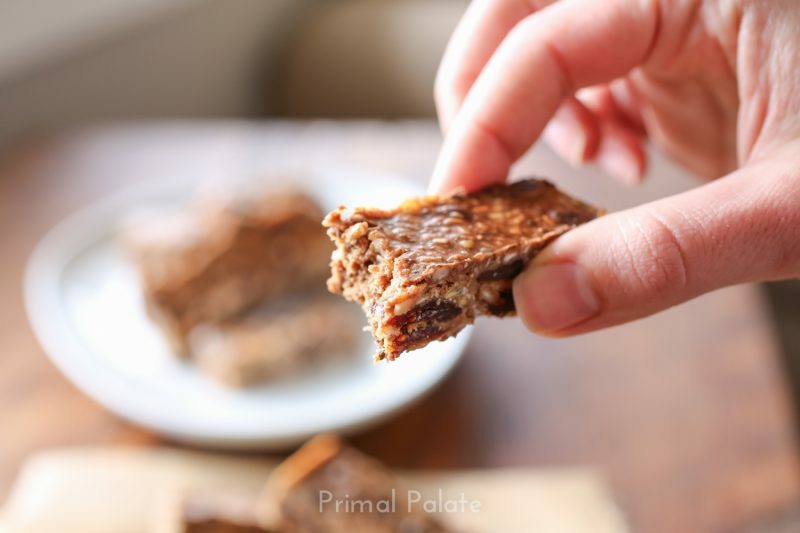 Do you have a recommendation for a tasty,satisfying snack bar without sugar? Hayley, Any form of sugar has the same anxiety inducing effects on me, too. 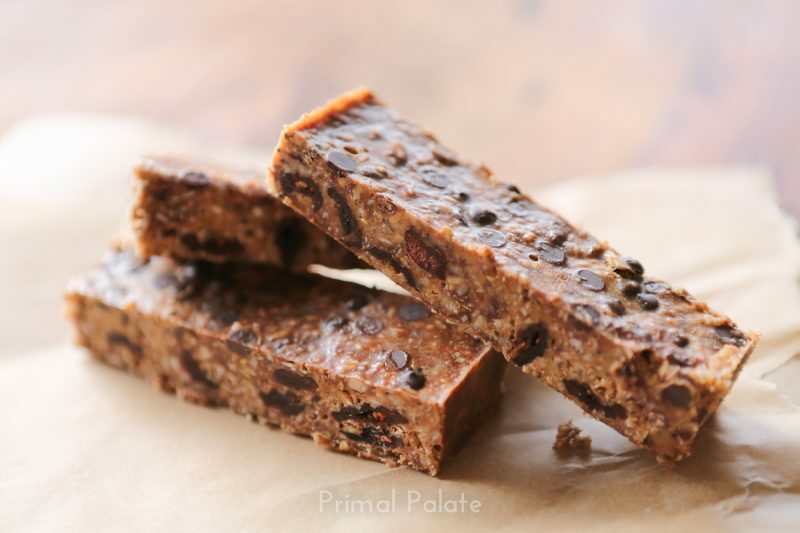 Do you have a recommendation for a tasty,satisfying snack bar without sugar? What about medjool dates, though I don’t know that they are that much lower in sugar. 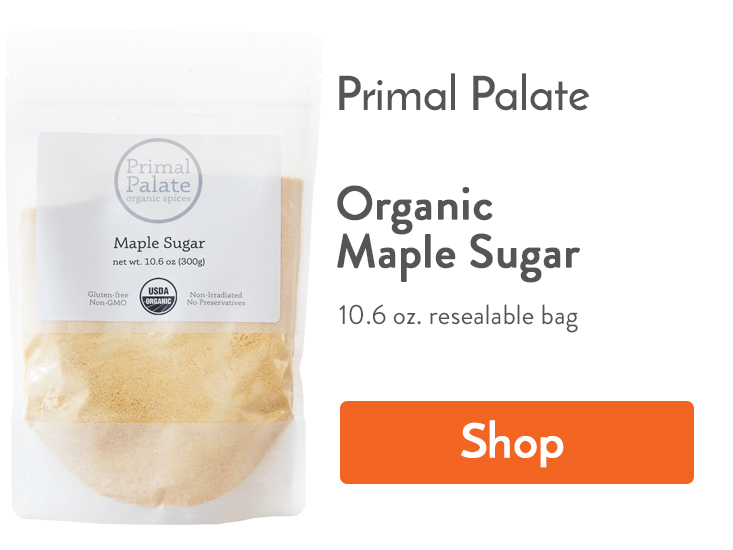 Or possibly a mixture of stevia and xylitol mixed with some maple extract?